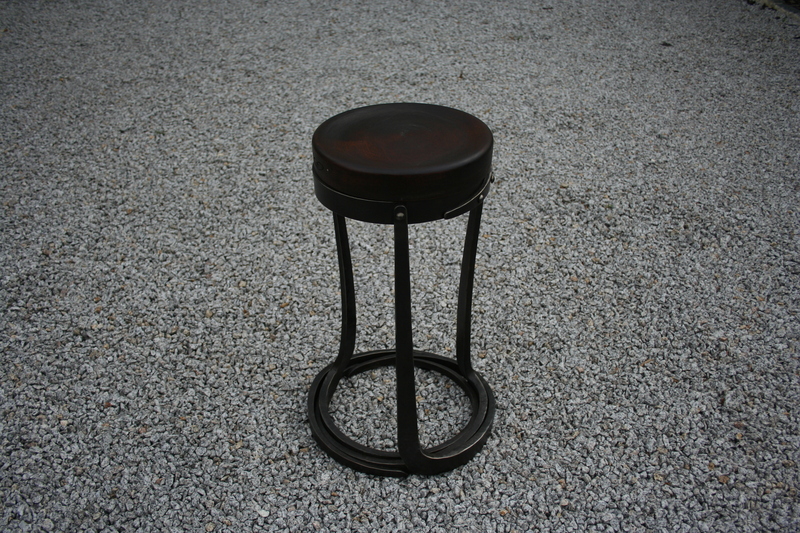 A hand forged stool. Hammered from heavy section mild steel capped with a red wood top. Made by Andy Quirk and Izac Hart, wood work by Graham Hart.